HELLO. Well, what do we have here? An outfit post? You don’t say. Can you believe my last outfit was on the 4th July – that’s almost two months ago! Apologies for the style silence, my two regular photographers were super busy so there wasn’t much I could do unfortunately. But, hopefully I’ll be back on track very soon and have regular photos of my face for your, errr, perusal. I have a minor obsession with this dress at the moment. It’s the right side of pretty and floaty and borderline maternity that I like in a dress. Y’know, covers all the right bits without looking like you’re wearing a tent. I picked this beauty up in the Mango sale and it’s probably the best £17 I’ve spent in a long time, as it’s lazy dressing at its best. 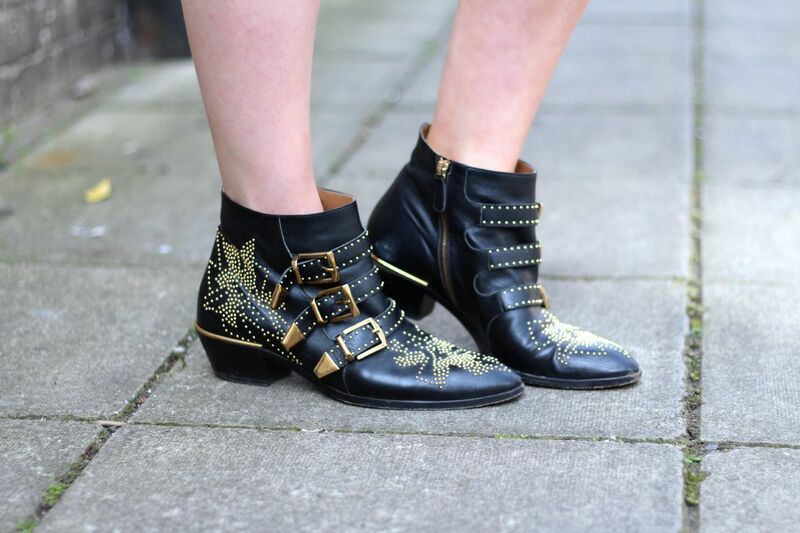 I’m reviving the Chloe boots (not like they ever went away) as they’re pretty much all I want to wear right now and are great for giving a bit somethin’ extra to an outfit. The bag needs no explanation bc look at it. I had a lovely day snapping these photos with Amy and between that and my boyfriend almost completing my new blog design, I’m feeling all inspired with the blog which I haven’t felt in a long time. Can’t be a bad thing, right? Oh and I’m up for ‘best longstanding fashion blog’ in the bloggers blog awards, so if you like this little blog then go vote for me because that would be excellent. Please check out my newly updated blog sale as it has to go by Wednesday and £250 my Barbour giveaway!